Complete set of icons for the 2006 iPod's. Is there a better alternative to iPod family Icons 2006? Is iPod family Icons 2006 really the best app in Icons category? Will iPod family Icons 2006 work good on macOS 10.13.4? iPod family Icons 2006 is a complete set of icons for the Apple iPod family 2006, including the new iPod nano RED. 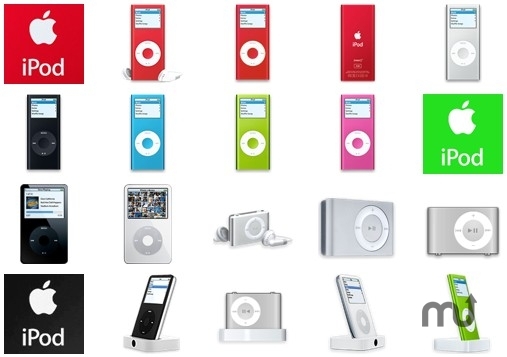 20 icons : iPod Icons, iPod nano Icons, iPod nano RED, iPod shuffle Icons, iPod docking Icons, iPod logos. iPod family Icons 2006 needs a rating. Be the first to rate this app and get the discussion started!